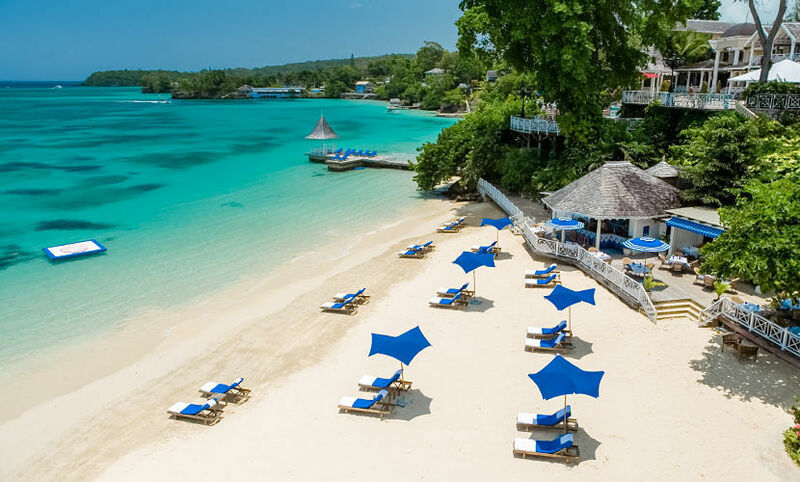 The Sandals Royal Plantation address is Main St., Ocho Rios, Jamaica. 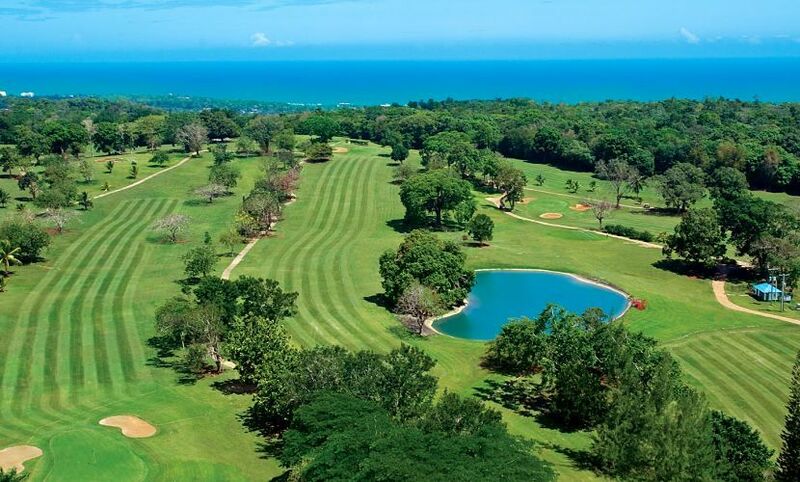 It is about 2 hours away from Montego Bay International Airport, and only 10 minutes drive from Ocho Rios downtown where local restaurants are located. The resort has its own lounge within the airport and it provides shuttle service that you can use for free. 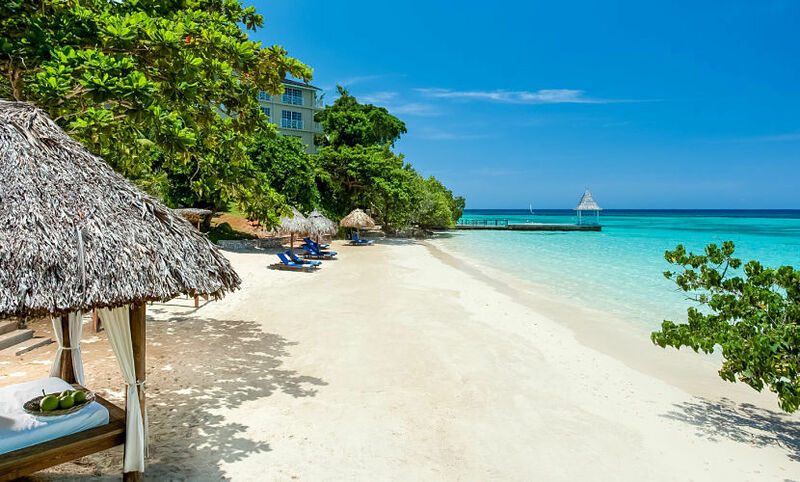 Sandals Royal Plantation is an all-inclusive, adults-only resort that sits on an eight acre steep mountainous tropical gardens, 25 feet above the gleaming Caribbean, allowing all the 74 sumptuous suites views of the ocean. 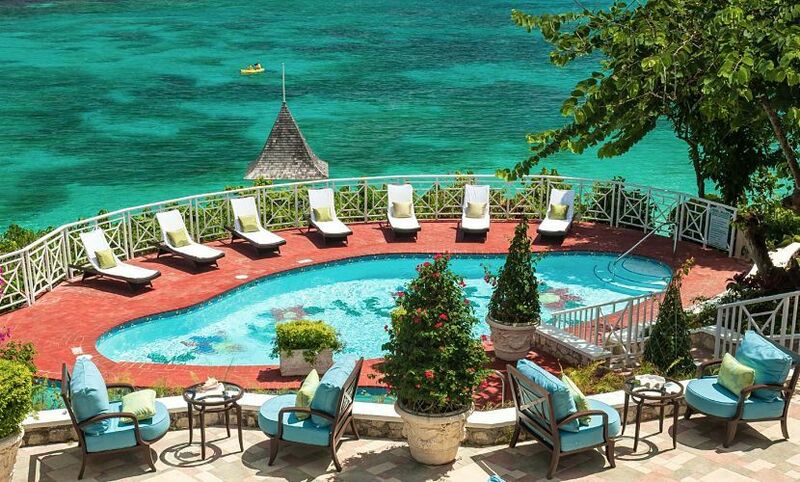 Every suite on the Ocho Rios Riviera is provided with a butler service to personally attend to your every need. The suites have marbled bathrooms, king sized beds with Italian linens and plus pillows, balconies or patios. Five restaurants will satisfy your palate, offering various cuisines in natural surroundings. 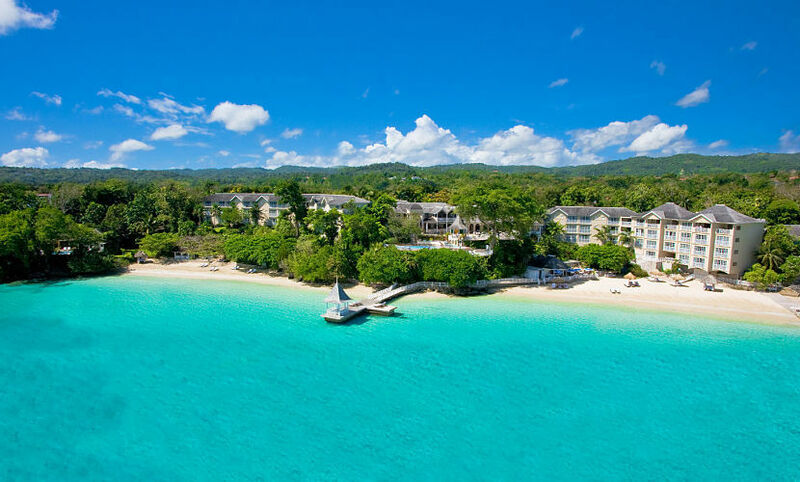 The luxurious lodgings and amenities topped with friendly service from the staff make the Sandals Royal Plantation a very special resort. 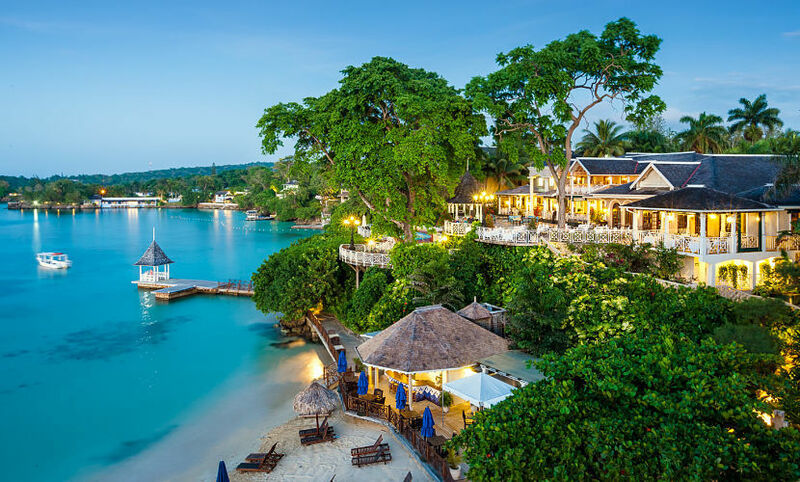 After a day of activities, dine luxuriously at one of the restaurants and pub or if you fancy a luxuriously stylish and expensive treat, go directly to the only champagne and caviar bar in Jamaica, the C-Bar. 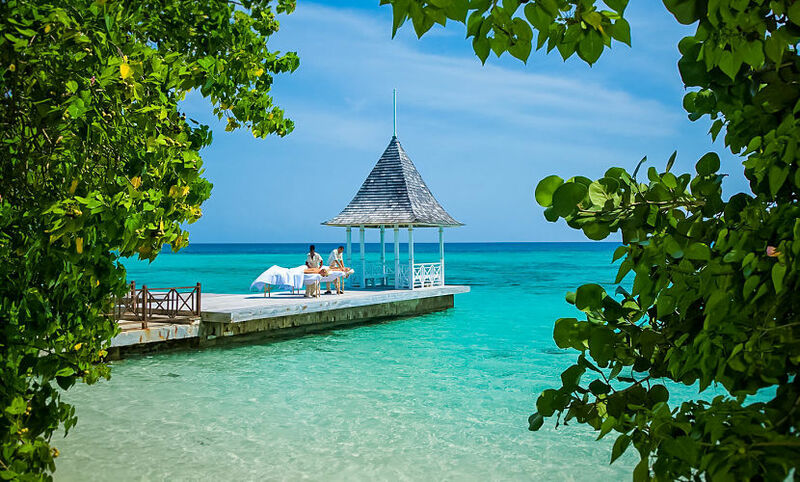 The Red Lane is the exclusive spa at the Sandals Royal Plantation. 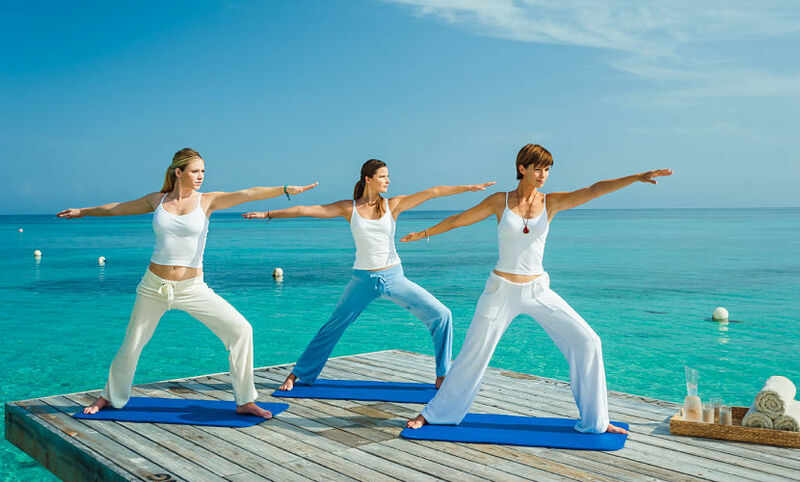 It is a peaceful sanctuary offering treatments rooms, a beauty salon, a fitness center, a Yoga/Pilates studio, plunge pools, steam rooms, and some more. Treatments provided here include facials, body wraps, scrubs, European style massages, couples massages, hot stone therapy, reflexology, manicure and pedicure. This is a 3-bedroom villa that has its own swimming pool, expansive dining and living areas, patios off bedrooms and other modern amenities. A friendly staff is provided, including a private room attendant and your own butler to cater to your every need. Exclusively located at the top floor of the West Wing of the resort, this suite has a king size bed that allows you to sleep comfortably. 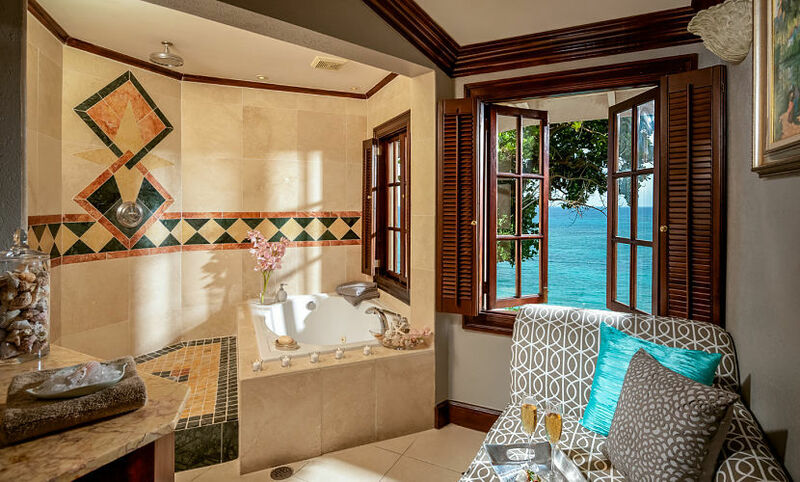 The bathroom boasts a walk in shower and a Roman tub; two walk-out balconies offer views of the Caribbean Sea. This suite is also on the West Wing and equipped with plush sofas and soft natural light. 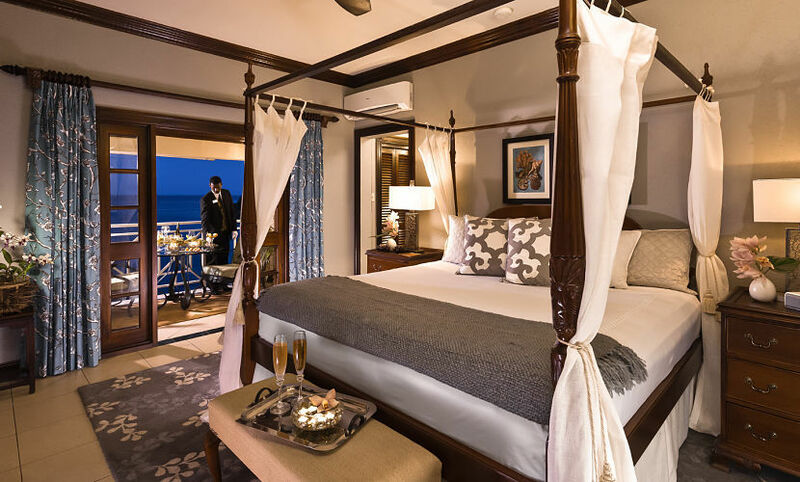 The four poster bed is handcrafted in mahogany wood and draped in plush linens. There is Roman tub, standing shower and low oval basin called bidet. The two private balconies provide views of the lush green hills and turquoise waters. This suite feature delightful furnishings in the bedroom, including the mahogany bed, handcrafted with the finest linens to adorn it. Also within the suite is a fully stocked bar, plasma screen TV, marble tiled bathroom with his/her vanities, Roman tub and walk in shower. There is also a private balcony providing views of the sea and the beach. Le Papillon offers delicious flavors made from the fresh Jamaican produce cooked in the French traditions and techniques. They take menu requests, so if you want something special, the chef can cook it for you. This restaurant offers guests exquisite, gourmet cuisine that you can opt to take in an outside setting. 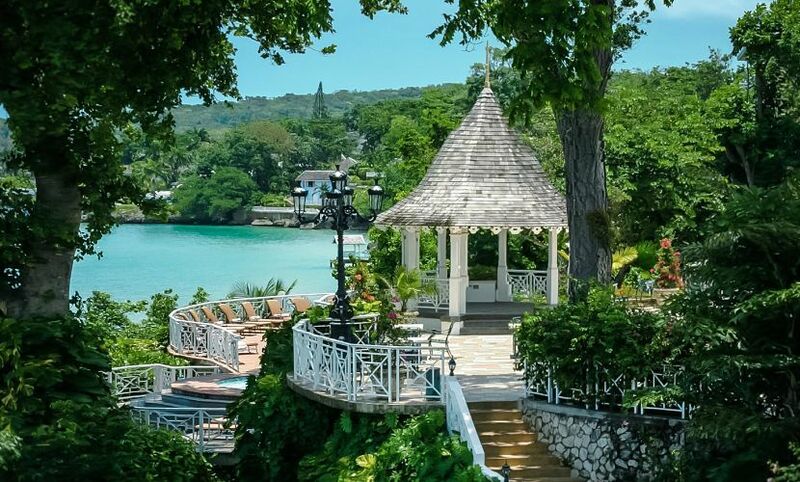 Here, the Caribbean Sea is a jaw dropping view, and the colorful foliage makes The Terrace even more romantic. It offers an impressive fare that matches the equally dazzling surroundings. Creative grilled eats, along with lamb kebabs, club sandwiches and exotic salads are yours to enjoy. 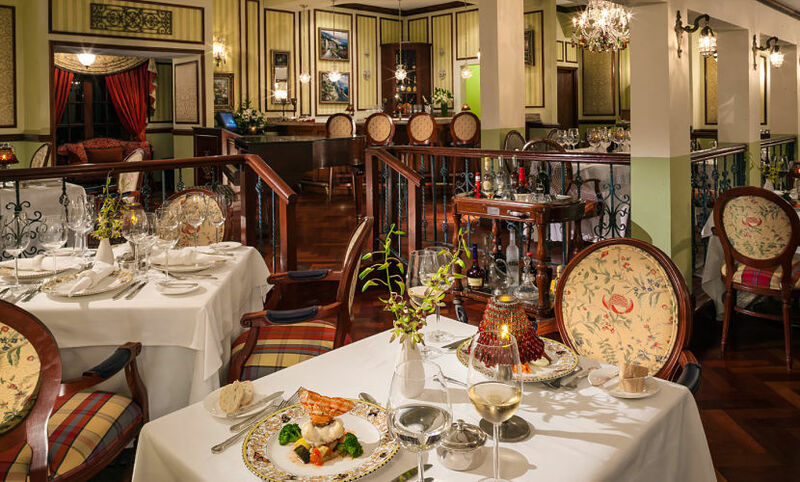 It is a pub that features elegant furnishings, lighting, and a grand piano, that offers guests gastro pub cuisine. You may choose to dine indoors or outdoors. This is a tea bar where you can experience late afternoon tea time.